Discussion in 'AirPrint' started by albuilder, Nov 22, 2010. I have a Epson artisan 810 wifi printer and can not get my iPad to find it. My lap top works with it but not the ipad. Any suggestions? 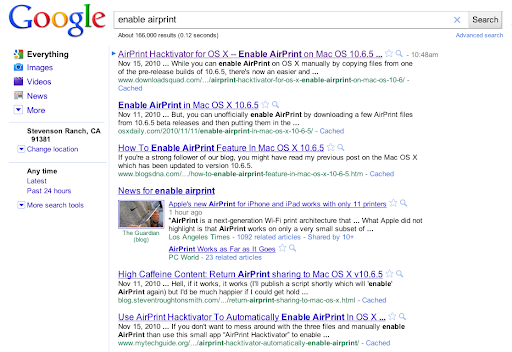 search google for enable airprint for whatever os you are using. As of now it only natively works with certain printers released this year. Did that can't find anything. Well I guess I still have print n share. If you have the right printer, it will work. Are you serious?? Or just kidding here? I'm going to work on building a good airprint FAQ today.. so stay tuned.